What is So special about Nest Bedding Cool Pillow? Almost everything! from the moment you lay eyes on it, to the moment you lay your head on it. It is perfect, visually, physically and to the touch! And what took me so long to try this pillow? I am kind of mad at myself, but hey, it’s never too late. At least now I know exactly how The Cool Pillow from Nest Bedding feels like and now I get to write my review. This cool pillow comes with shredded gel-foam fill and is adjustable to any feel you find comfortable. Super Cool right? ( get it? cool and super cool). It also comes in Queen (26x18), King (32x18) and a for side sleepers (26x18). This one is shaped a little differently but the results are all the same, NOTHING BUT A COOL NIGHT’S SLEEP. Who Should Buy the Cool Pillow? The fact that you can adjust the Cool Pillow to your sleep position and liking makes it a perfect fit for almost all types of sleepers. From my personal experience and as a side/ Back sleeper, I can safely say I was happy with it. The Nest Bedding Cool Pillow combines the best of both worlds: the adjustability, something we are used to see in their famous Easy Breather Pillow and phase change fabric technology to bring you a “cool to the touch” pillow that will help regulate temperature while you sleep. The fill for the Cool Pillow itself is the same blended poly/tencel with shredded gel memory foam that is used with the Easy Breather pillow. The cool-to-touch phase change cover helps reduce your temperature as you are falling asleep and then helps to maintain a constant and stable temperature throughout the night. 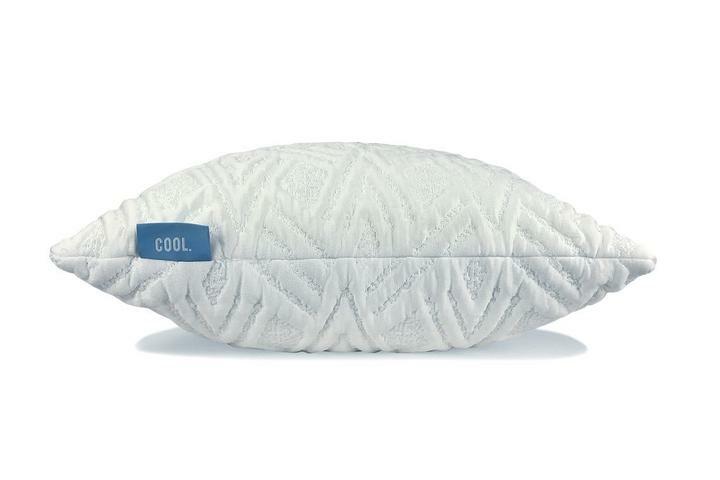 One thing I know for sure, just like the Easy Breather, the Cool Pillow has secured a spot in our Best Pillow section. It was a huge hit on my ultimate pillow fight video. IN HOME TRIAL. Did you know that some other companies don’t offer free night trials on their pillows? Not Nest Bedding! WARRANTY. And they stand behind their promise. SHIPPING. More like super fast! Always on time. & RETURNS. Plus the best customer service out there. I didn’t do a typical unboxing for this pillow. Rather I unveiled it during the live blind testing part of the ultimate pillow fight.